It’s so nice to breathe again, and because we got over the bug that we’ve passed back and forth to one another, we are back with a brand new Shared Desk! We have The Nebula Awards Conference this weekend, so as we are prepping for that, we’re turning to our voicemails and spending some time with you this go-round! (See—when you leave us Voicemail, we put you on the show!) We are also debuting a new segment for the show. Make sure to let us know what you think at 703-791-1701, and we may feature you in a segment or a special show just like this one. Well, not just like this one as we are not going to get the exact feedback. You know what we mean! No longer shouting into the mic. See, Pip can be taught! Thanks, Billy, for the sweet drop-in! Anyone else excited about The Defenders? Pip missed Ravencon, but here’s a flashback to it. Then Tee got sick. Thanks, Pip. 03:54 — Episode 74: Your Voicemails! We’ve been letting the voicemails stack up, so we’re giving the whole show to them. …and yeah, a lot of podcasting in the works for the both of us! Chris knows how to plug! When authors don’t want to move forward, why does that mean readers can’t? The end can be the beginning, whether it is a role-playing game (like ours!) or writing fan fiction. Fan fiction is a healthy extension of where an author’s work ends. Mike Rigg launched the Steam Rollers Adventure Podcast as an extension of his own world (and Tee loves to listen). ….or leave us a comment right here in the show’s post! Pip gets all foreign on Tee again. 28:07 — What’s Cookin’, Writers? If you think we cook like crazy, how about that Piper J Drake? Be careful—you may get so attached to your smoker, you may put your life before this appliance. 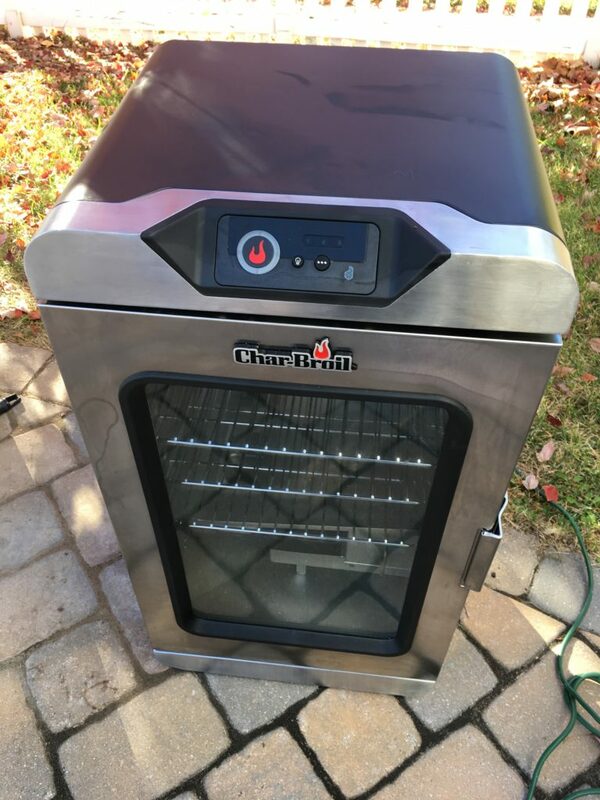 Char-Broil Electric Smoker. Great device, dodgy app. This is not an impulse thing. You plan for smoking meats. Smoking meats is great for writers! You want wood? We got wood! Char Broil has a great website for tips on smoking meats. Try different flavors with your wood. Find out what works for you. Whatever the cooking time, add one hour. The Tea & Spice Exchange is great for rubs! Farmers’ Markets also carry terrific rubs. Apply rub to your meat, smoke that for three hours. Cover in a sauce of your liking, smoke for an hour. Serve, eat, and you’re welcome. And now, since we’re talking about poultry, let’s talk about spatchcocking. Shout out to Scott Sigler! Where are we going to be? 27 May, Balticon 51 in Baltimore, MD…but not as guests. Just coming to hang out. 16-18 June, AwesomeCon in Washington D.C.
Alright, now let’s see if they can stay healthy! And remember, you can find the show on iTunes or Stitcher!